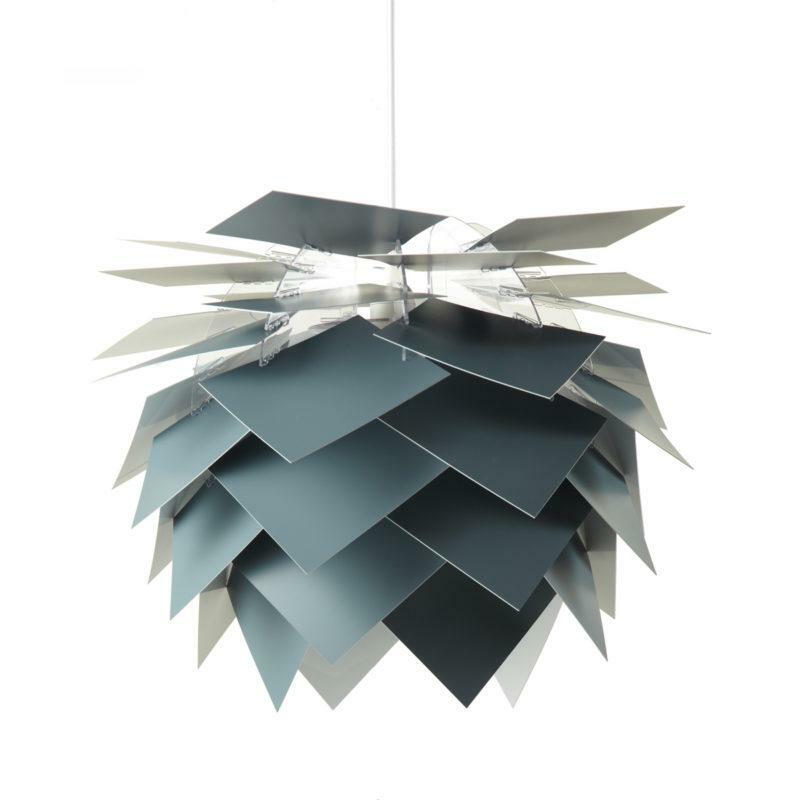 Illumin Pendant Lamp – Stormy Weather. Delivered in an exclusive black box incl. new Rosetta® ceiling rose, frame, 40 components and 3 metre white textile wire with lamp holder. This version is our classic model with the colour Stormy Weather, beautiful in it’s own colour, the size is 45 cm.